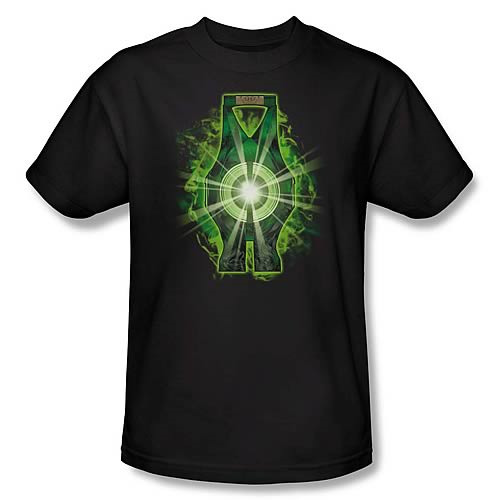 Green Lantern Movie Lantern Battery T-Shirt. Celebrate Green Lantern's blockbuster arrival to the big screen with this Green Lantern Movie Lantern Battery T-Shirt! Inspired by Ryan Reynolds' live-action portrayal of Hal Jordan, this 100% cotton, high-quality black t-shirt is pre-shrunk and machine washable. Order yours today!